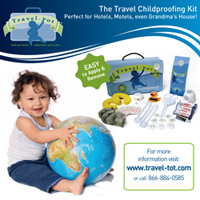 Travel-Tot: Products We Love: Packable Pails! Looking for the perfect solution to buying those pricey beach toys on the go? Check out Packable Pails! Packable Pails are collapsible silicone beach pails; perfectly portable and ideal for everything from making sandcastles and collecting seashells to serving snacks and more! Each Pail includes plastic shovel and is 8.5 inches wide, 6.5 inches height, and collapses to 2 inches; they come in Starfish Orange, Playtime Purple, Aquatic Aqua, Sunshine Yellow and Paradise Pink! Grab some before your next beach trip!